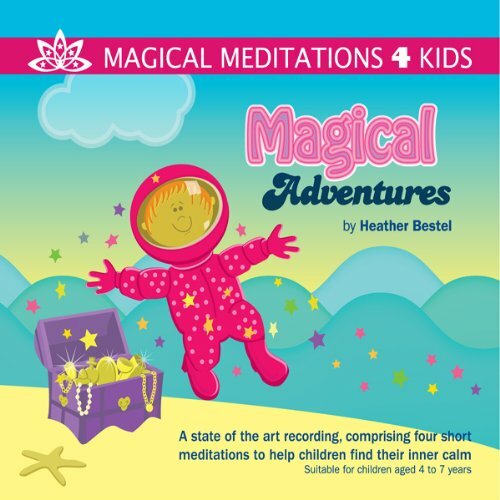 Magical Adventures is a superb high quality meditation recording by Heather Bestel. Heather is a very experienced psychotherapist who has worked with children developing and building their self esteem and confidence since 1994. This audio is a lovely and safe way for our 4-7 year old magical explorers to discover their inner resources as they venture. Helping them along the way to build their confidence and creativity. With the use of this audio, Children learn to find their inner calm and develop some wonderful resources to empower them whenever they need. ‘Magical Adventures’ is ideal for using at home: during chill out time, at bedtime, on long journeys, before exams or anytime children need to switch off and relax. For use in school: at the beginning or end of each class, in the chill out zone, and during circle time. Each audio also includes instructions for a creative activity linked to the download content. For ‘Magical Adventures’ the activity includes instructions for an exercise in creative writing. Children are encouraged to complete in their own way, a relaxation story, which they can send to Heather by email which she may later use on further recordings giving credit to the writer. ....my husband threatened to jump out of the car if I played it while he was there! They are really corny "magical" stories, but my 4yo daughter loves them and when things are going haywire, will go in to her room, lie down and listen to them for half an hour until she calms down. An absolute sanity saver, just try not to groan out loud in earshot of the kids!